Payment is due upon receipt of services. Although we cannot invoice for services, we can accept money orders in advance to create a credit account in our system if you don’t have any credit or debit cards. We have a 24-hour cancellation policy to assure that patients that need to get in have that opportunity and also out of respect for our therapists and doctors who have committed their time to help you. By giving last minute notice or no notice at all, you prevent someone else from being able to schedule into that time slot. Cancellations with less than 24 hours notice are difficult to fill, and if you do not show or cancel the appointment within 24 hours it may impact your ability to be rescheduled. Since we are closed weekends, please let us know at least by Friday morning if you need to cancel a Monday appointment. If you are able to give more than 24 hours notice, that is very appreciated. To implement this policy, we will need a credit or debit card of yours or a family member’s to hold your appointment. You can also send a check or money order in advance. We charge for all new and follow-up appointments if sufficient notice isn’t given. If you are on a Supported Healthcare Insurance Plan or have Medicare, this policy still applies and we do charge the unadjusted rate. Promotions and Advertised Specials Valid For New Patients Only! 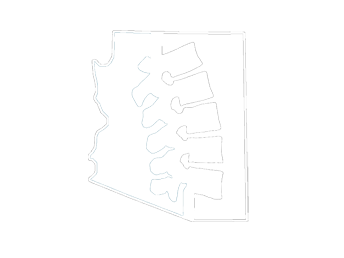 Arizona Chiropractic & Holistic Health Center does extensive marketing campaigns to attract NEW PATIENTS. These promotions may be done online/via internet, mailers, newspapers, etc., and these promotions are valid ONLY for NEW PATIENTS. Please understand that for established patients we accept healthcare insurance as well as cards associated with health savings accounts; also we offer package rates and cash discounts (credit/ATM/checks are not accepted for cash discounted rates) - please ask receptionist for more information.